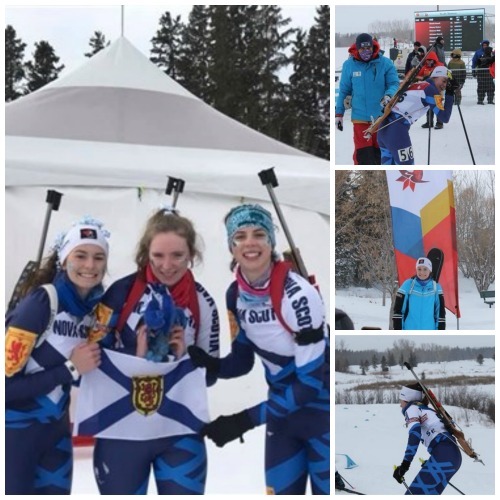 It takes four years to train towards Canada Winter Games and Aria MacDonald and Madi Taljaardworked hard to represent Team Nova Scotia in Red Deer, Alberta this February. 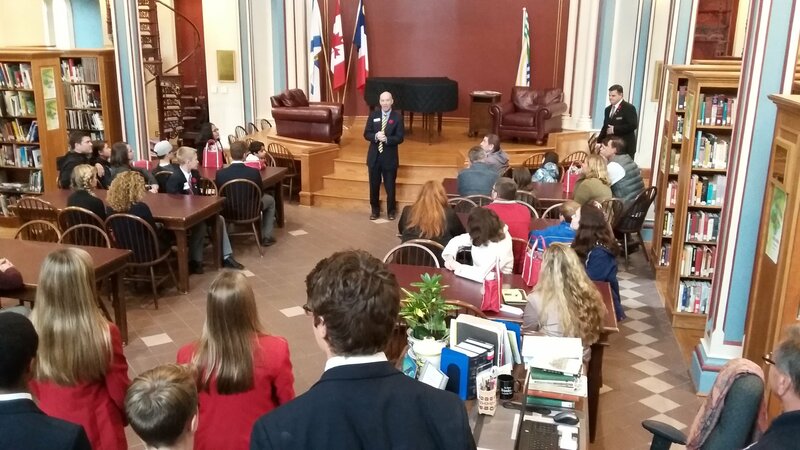 Also included in the Nova Scotia Biathlon team was Claire Miner, a Grade 11 student from Horton High School. • GOLD performance for the Intermediate Girls Team – Svenja Priggemeyer, Sarah Sidorchuk, and Zhi (Angel) Li. In addition, Svenja won SILVER Intermediate Girls Individual, and Sarah placed only a few spots off the podium with a 7th place individual finish. 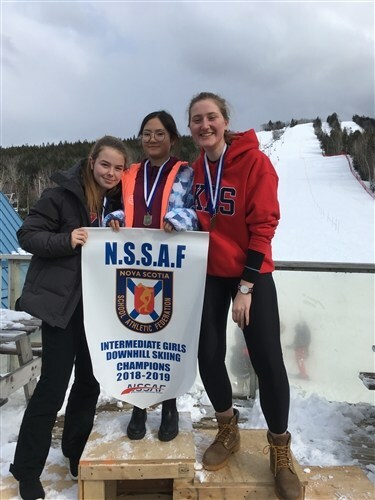 • The Senior Girls brought home the SILVER – Katie Goddard (who also placed 4th individually), Elizabeth Walsh (also placed 6th individually), and Laura Gillis. • On the Boys side, Eric Sweetapple placed 4th individually in the Junior Boys Category. • For Intermediate Boys, Mitchell Larkin brought home the Individual SILVER Medal. 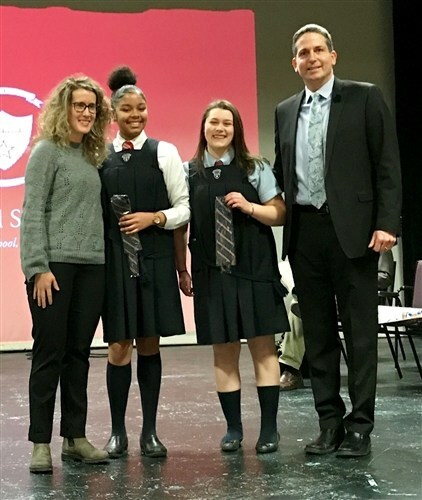 Congratulations to Aimee Cooper and Radka Sevcik, the newest members of our KES Steward team.These student leaders have earned a Steward tie for their ongoing dedication and commitment to helping others, and for their desire to help improve our KES community. 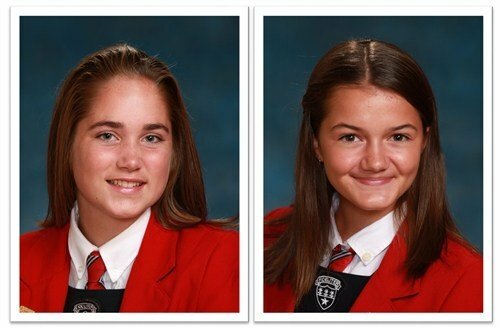 Both Aimee and Radka are role models who exemplify kindness, gentleness, and respect for those around them. 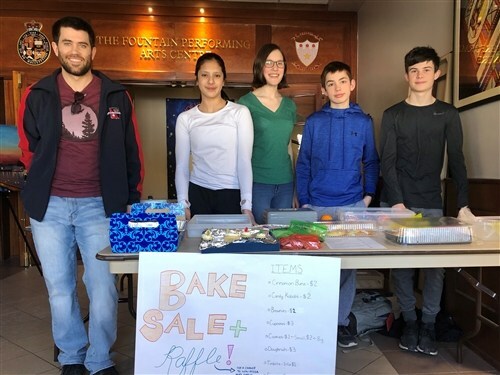 On very short notice, the Grade 9 Sciences Humaines class organized a fundraiser bake sale in support of the Barho family in Halifax who tragically lost all seven of their children in a house fire in February. Having fled the civil war in Syria, the Barhos arrived in Nova Scotia in 2017 as refugees to start anew in Canada. 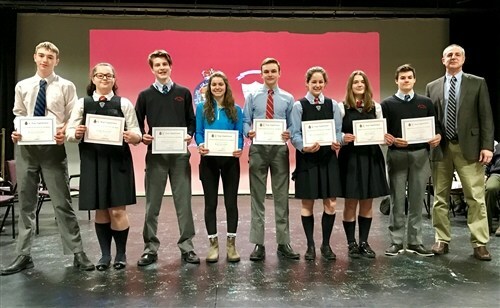 Our Grade 9 students were determined to do something meaningful to help the surviving parents with their immediate and future costs associated with this tragedy. They quickly recruited volunteers among faculty, staff, and students to provide baked goods for what is rumoured to have been the most successful bake sale in all of KES history. With the support of the entire School, between the bake sale, generous donations, and dress-down-day contributions, we raised a total of just over 1,200$!!! All in one day!! We thank everyone who participated in some capacity with this initiative. We are certainly proud of everyone’s generosity and support. This money will go directly to the Barho family’s cause on behalf of KES; from one family to another. King’s Edgehill is proud to introduce the first Senior School play which brings together a collection of passionate and dedicated students from Grades 10-12. 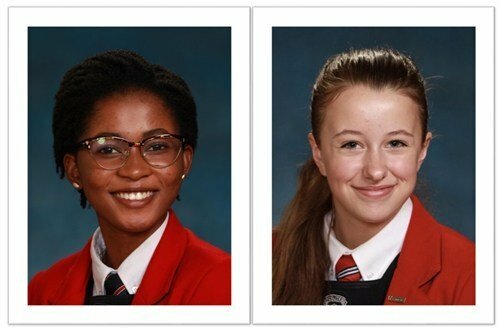 Each week leading up to our opening night, our hard-working marketing team will highlight 2 students who are involved with the creation of our play, whether they are acting or working backstage. We are excited to present our talented cast and crew and hope you will support them by attending our performances on March 29th & 30th! There were countless highlights from this week’s Spirit Week, but what was most impressive was the involvement and incredible participation from the KES students and faculty. Five dress down days in a row (which mostly involved wearing something warm, colourful and cozy), hot chocolate, treats, outdoor fun, inter-flat competitions, cultural fair and special carnival events kept our students smiling and looking forward to every day. Of course, fun food selections are always a part of the celebrations around here, and items like a chocolate fountain with fresh fruit, student favourites such as hamburgers and pizza, and a decorate-your-own doughnut bar added to the festivities. Our campus was livelier than usual in the evenings too, thanks to some planning by our residence Prefects. 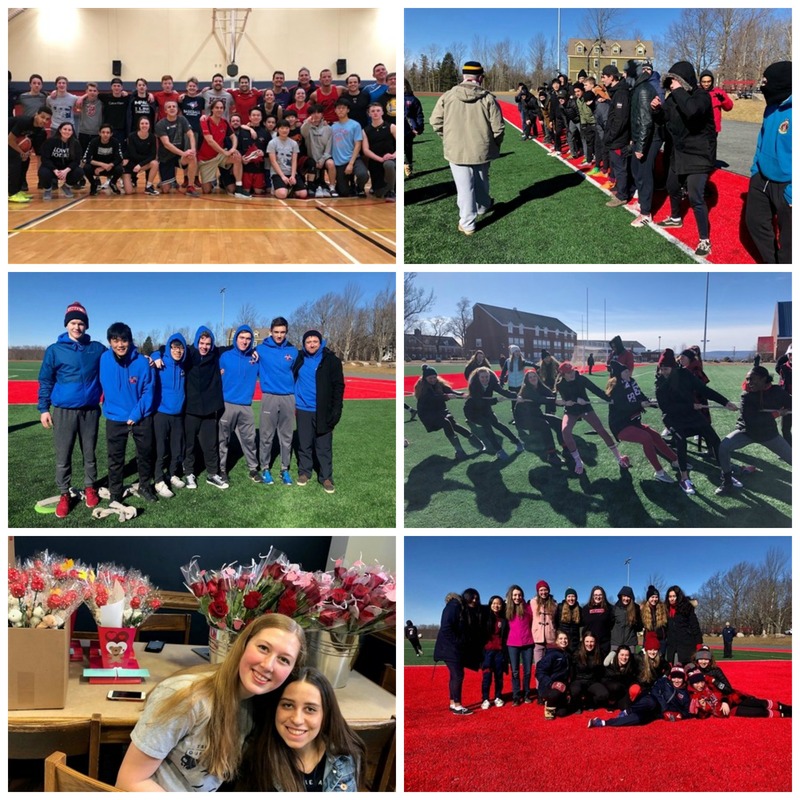 Minute to Win It Campus Cup games, a Valentine’s Dance, and a romantic comedy movie in the theatre were a few additional activities that filled up the campus life schedule this week. 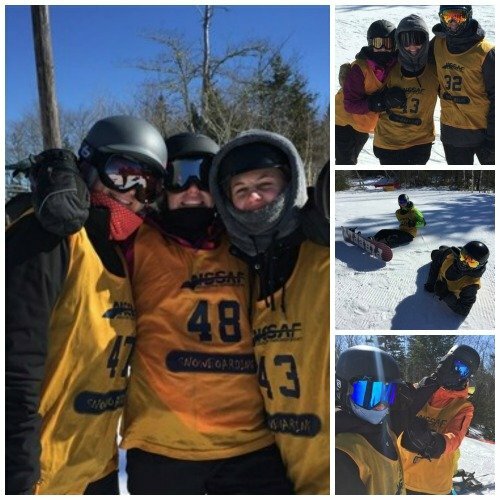 Whether we were inside or out, in the sun, snow, or freezing rain, this week was a good lift for everyone and a great excuse to play, smile, and laugh with one another!